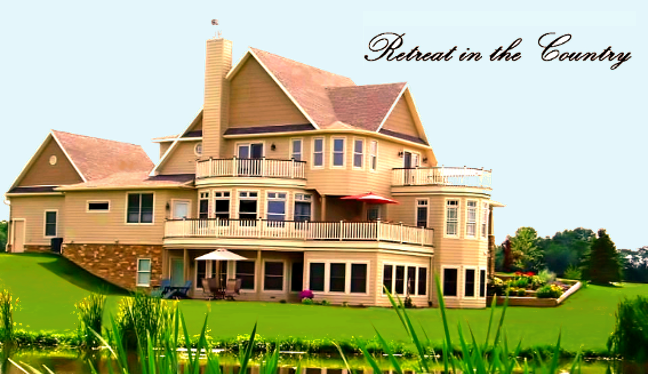 We invite you to leave your hectic routine and to come relax in the country. Our caring staff caters to a maximum of eight day guests bestowing that "personal touch." Retreat in the Country provides you not only with a place to relax, but also an opportunity to learn about health and wellness. Classes are offered on healthy cooking, how to have a healthy home, and many other topics. Activities on the grounds include a hot tub kept clean with natural enzymes, a far-infrared sauna, fitness room, game room, library, home theater, fishing, hiking and spa services. Our meals are home made from primarily organic ingredients purchased from local farmers. Let us know when you register if you have any special dietary needs. Come and spend some time with us nourishing your body, mind, and spirit.